SAN FRANCISCO — McKesson Corp. announced late Monday that it had signed a definitive agreement to purchase RxCrossroads, a provider of tailored services to pharmaceutical and biotechnology manufacturers, from CVS Health. The transaction is valued at $735 million, or approximately $635 million net of the present value ofincremental cash tax benefits, and will be funded by cash on hand. The acquisition is expected to close in the fourth quarter of Fiscal 2018, subject to customary closing conditions, including necessary regulatory clearances. This acquisition will enhance McKesson’s existing commercialization solutions for manufacturers of branded, specialty, generic and biosimilar drugs, including comprehensive patient support (“hub”) services, custom pharmacy solutions and third-party logistics, allowing McKesson to grow its end-to-end offerings for manufacturers. In addition, the acquisition will add plasma logistics to McKesson’s manufacturer services, complementing the company’s established customer-facing plasma offerings. RxCrossroads’ focus on manufacturers and the patients they serve, including adherence support, and streamlining the process from product launch and through a course of therapy, aligns with McKesson’s approach to achieve better patient outcomes through efficiency and coordination across the supply chain, and throughout the patient journey. 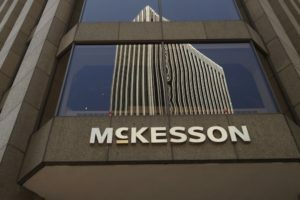 “McKesson’s acquisition of RxCrossroads is another example of our continued focus on expanding and enhancing solutions for our biopharma manufacturer partners to deliver better patient support and better health outcomes,” John Hammergren, chairman and chief executive officer, McKesson Corporation said in a statement. “This investment will strengthen our existing best-in-class solutions, including hub services and patient assistance programs, while establishing new logistics services to plasma manufacturers, which allows us to serve biopharma companies of all sizes and throughout the product life cycle,” he added. Following the close of the transaction, RxCrossroads will become part of the company’s McKesson Specialty Health business. McKesson expects the impact of this transaction to be approximately 20 cents accretive to adjusted earnings per diluted share by the third year following the close of the transaction.